With the news Star Wars film saturating the media these days, I thought it a good time to post my own EXTREMELY slight connection to the franchise. 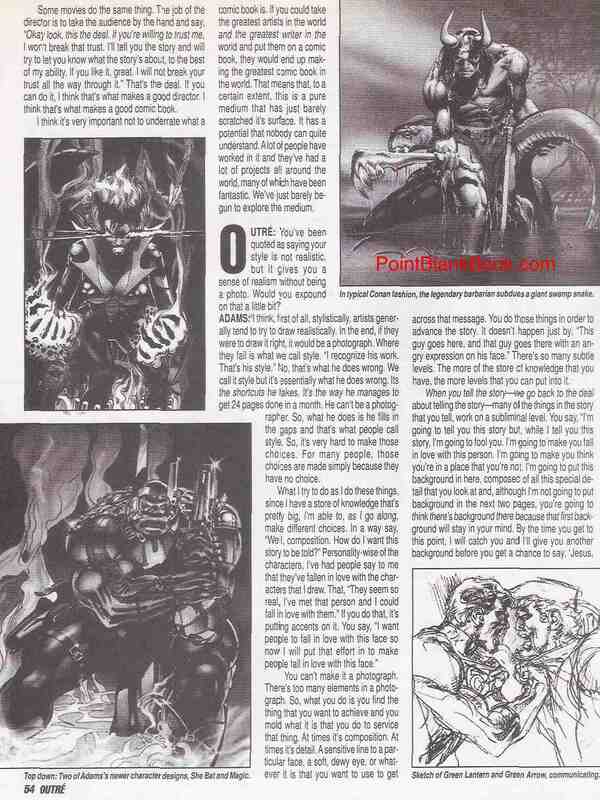 In 2009 I was contacted by Filmfax magazine publisher Mike Stein about interviewing graphic artist, Greg Hildebrandt. 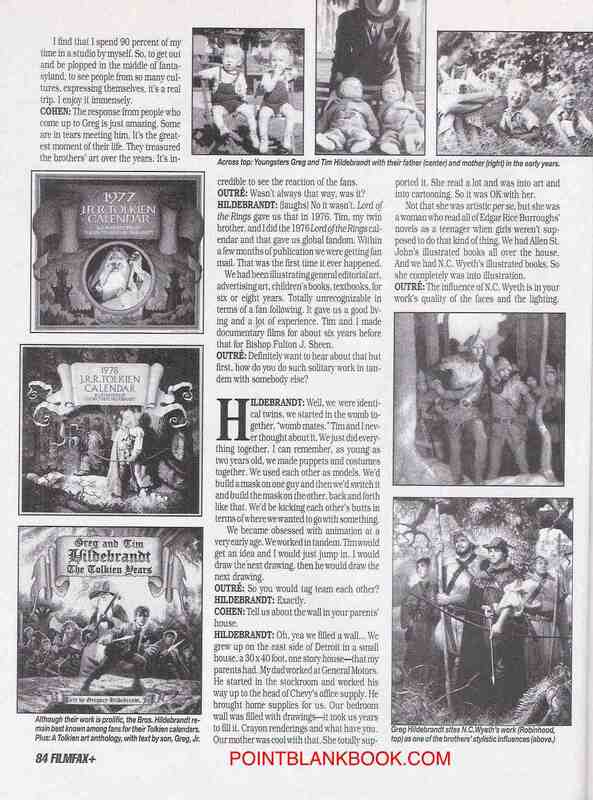 Together with his identical twin brother, Tim, the two of them covered the landscape of iconic pop culture imagery. 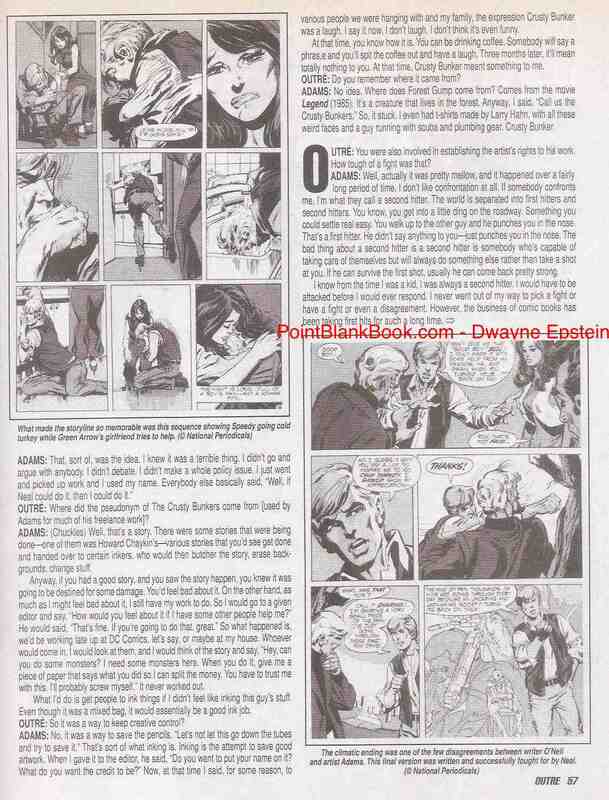 I greatly appreciated the assignment but wondered to myself, ‘Why me?” My mainstay was film as I continued researching Lee Marvin: Point Blank in hopes of publication. 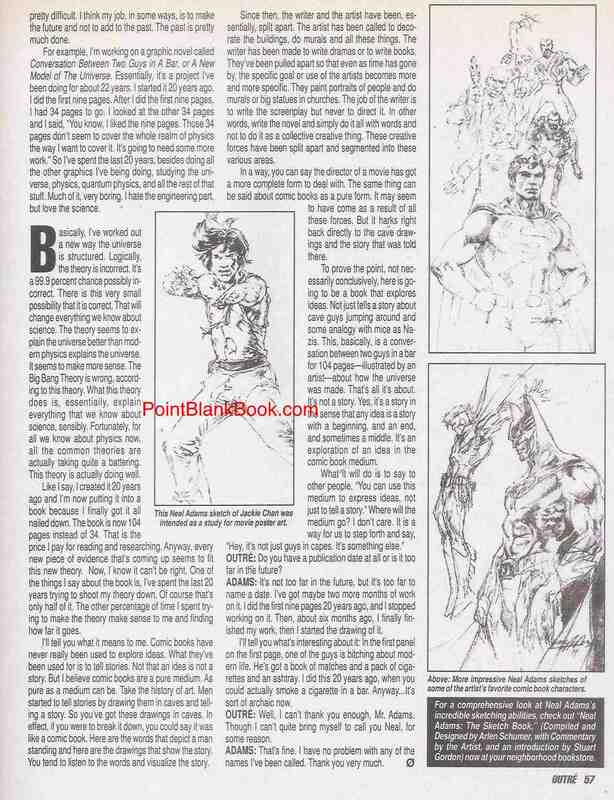 I discovered that the fact that I had interviewed comic book artist and childhood hero Neal Adams for the magazine, proved to be the catalyst for Mike Stein’s decision. 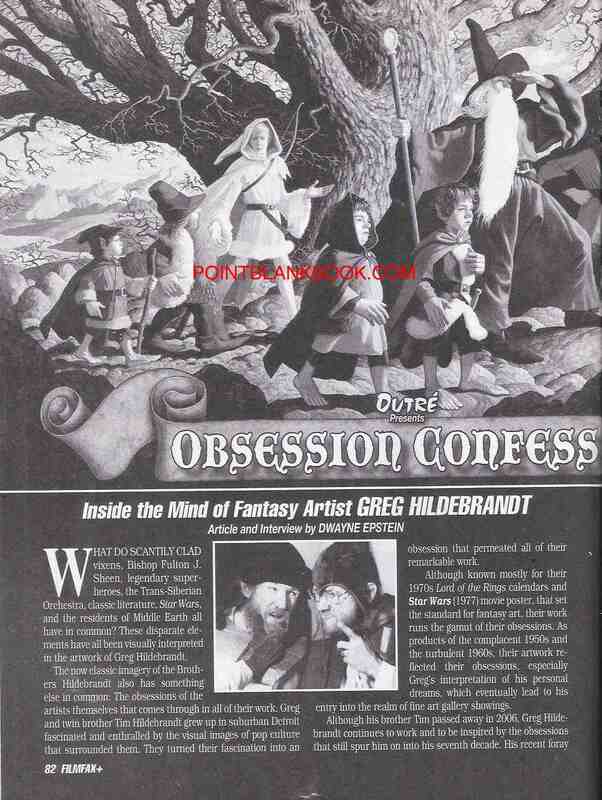 It didn’t change the fact that I knew close to nothing about the commercial art world, let alone the Brothers Hildebrandt. The closest I ever got to familiarity with that existence was having a best friend who graduated from the Califonia Institute of the Arts. Well, the gauntlet put before me, I grabbed at it with both hands and dove into researching the work and art of the men who gained fame in the 70s with their Lord of the Rings calendars, children’s book illustrations, pin-ups and, most famously of all, the original Star Wars poster — a story by the way that’s it the next issue, which is an amazing tale in its own right! I met with Greg in Santa Monica’s now defunct gallery/store known as Every Picture Tells a Story, with co-owner Lee Cohen in attendance. 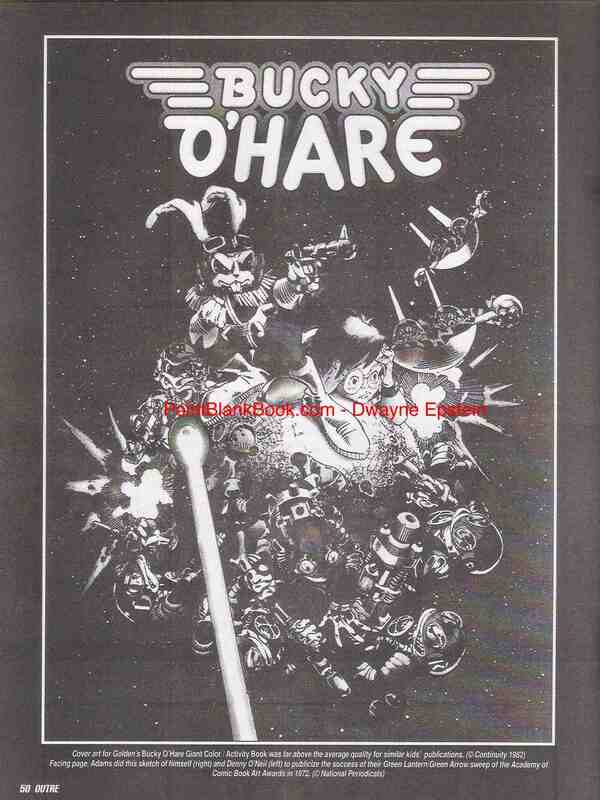 I have no idea why it no longer exists but it’s a damn shame as it housed original artwork from everybody’s favorite childhood illustrators. Focusing on the interview was difficult at best surrounded by such visual splendor. 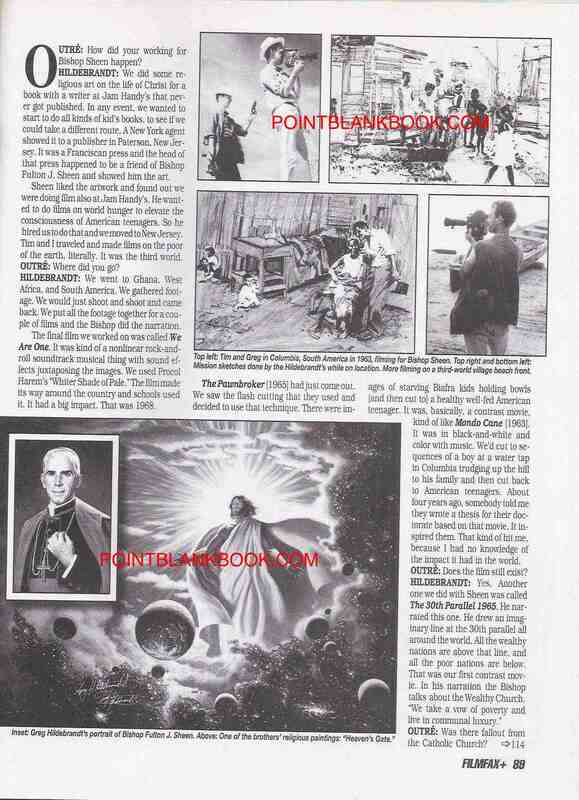 Making it worse was the fact that in the midst of the interview, actor Elliot Gould ambled into the store. 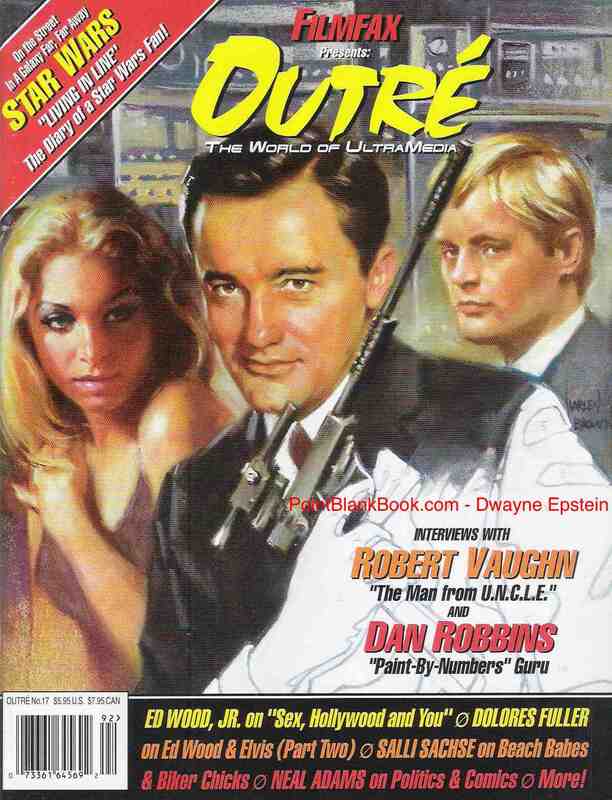 That’s right, quirky 70s film icon and the original Trapper John, himself! My professionalism was sorely tested as he is, was, and remains one of my personal favorite film stars. Lee Cohen later told me that he comes in all the time looking for artwork for his grandson. 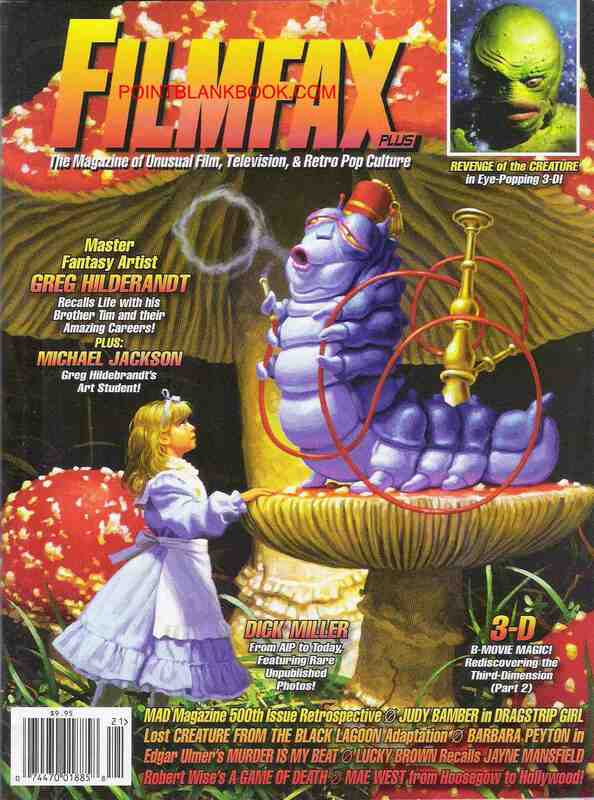 Greg Hildebrandt Filmfax interview, part 1 cover. 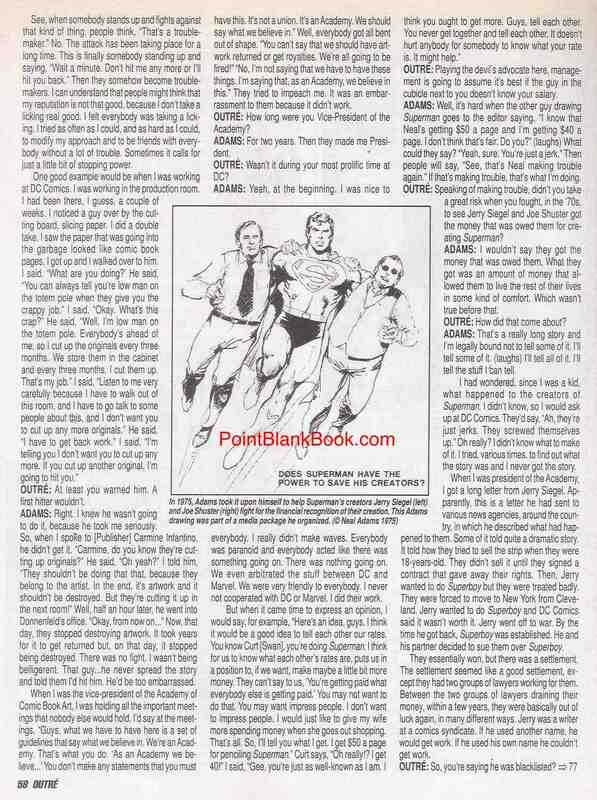 Greg Hildebrandt Filmfax interview, part 1, page 1. 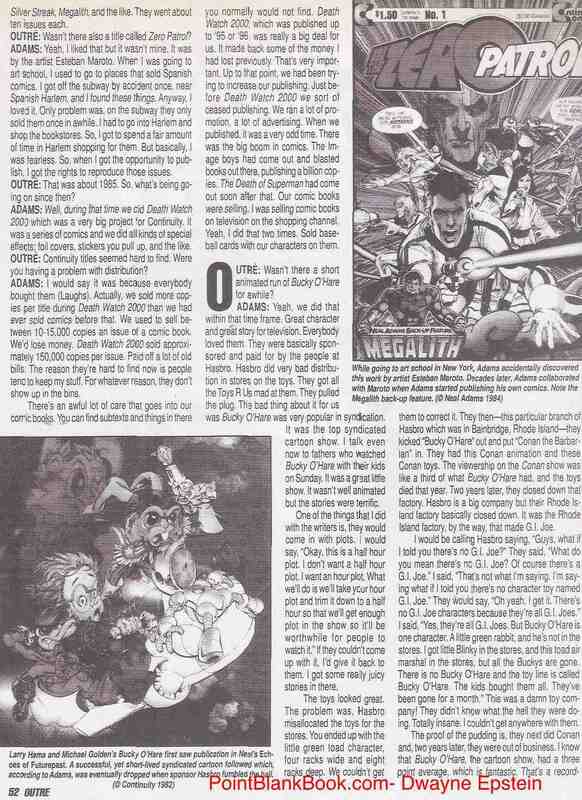 Greg Hildebrandt Filmfax interview, part 1, page 2. 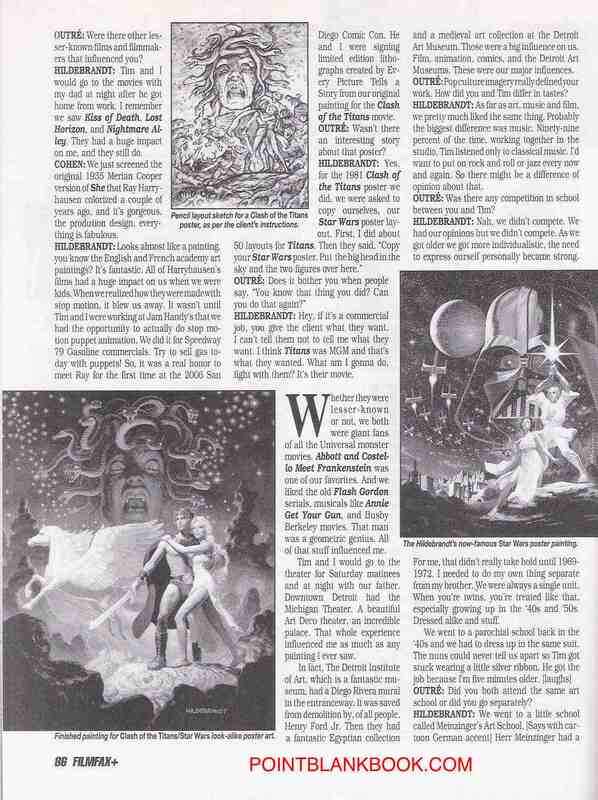 Greg Hildebrandt Filmfax interview, part 1, page 3. 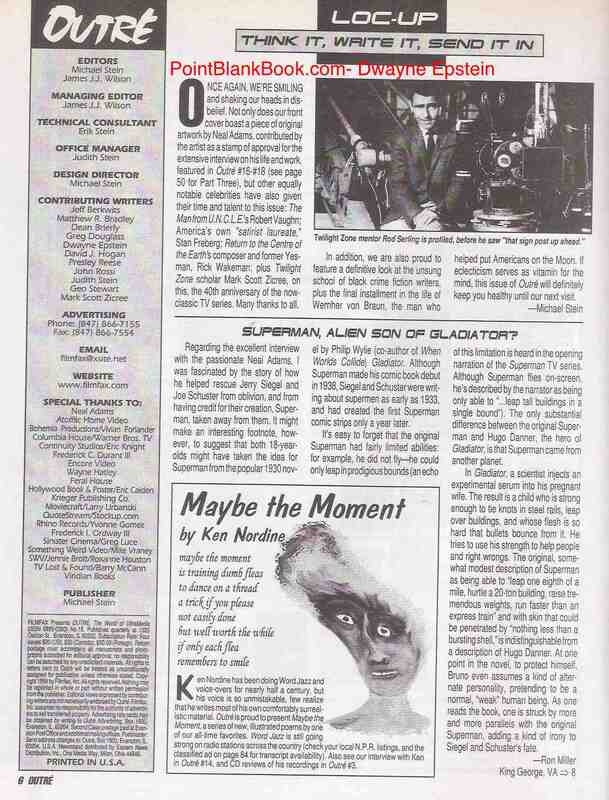 Greg Hildebrandt Filmfax interview, part 1, page 4. 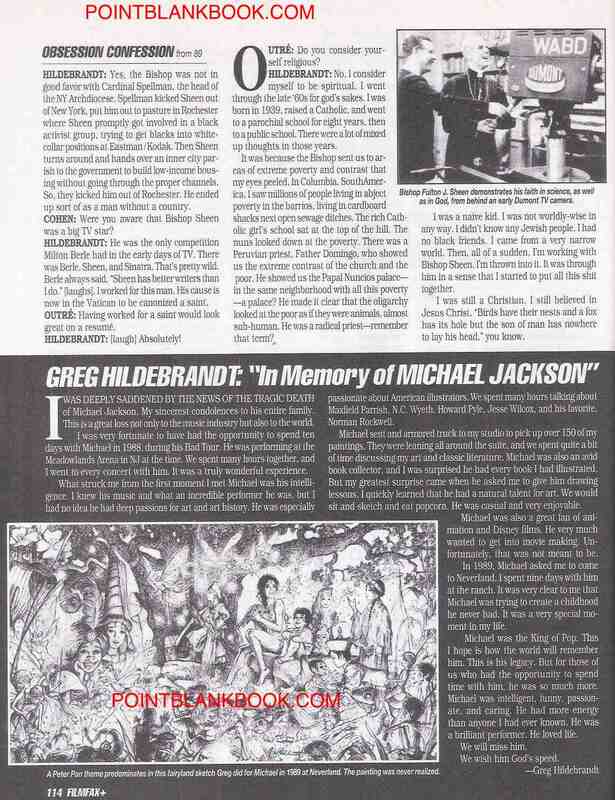 Greg Hildebrandt Filmfax interview, part 1, page 5. 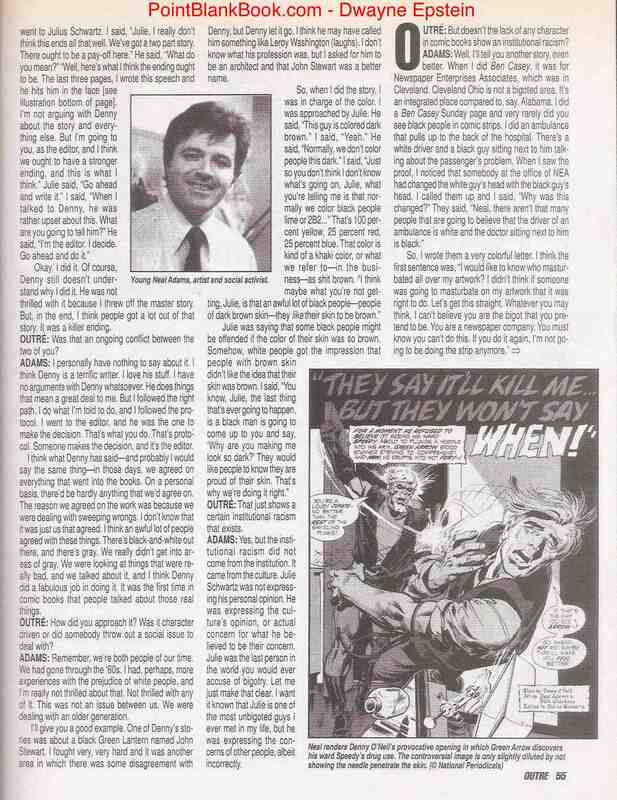 Greg Hildebrandt Filmfax interview, part 1, page 6. 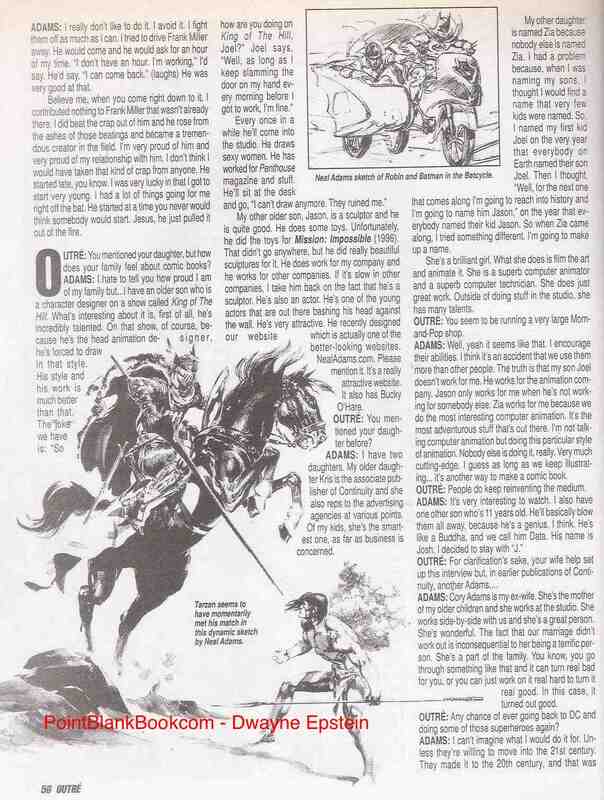 Greg Hildebrandt Filmfax interview, part 1, page 7. 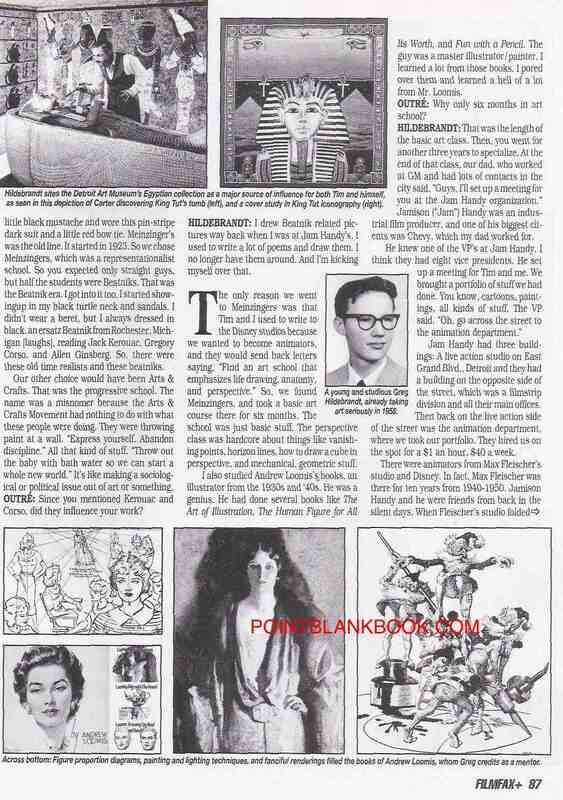 Greg Hildebrandt Filmfax interview, part 1, page 8. 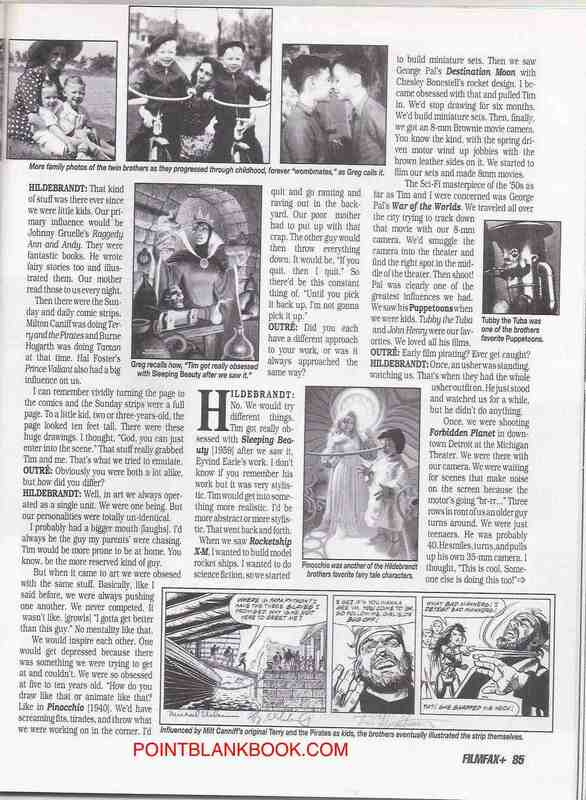 Greg Hildebrandt Filmfax interview, part 1, page 9. 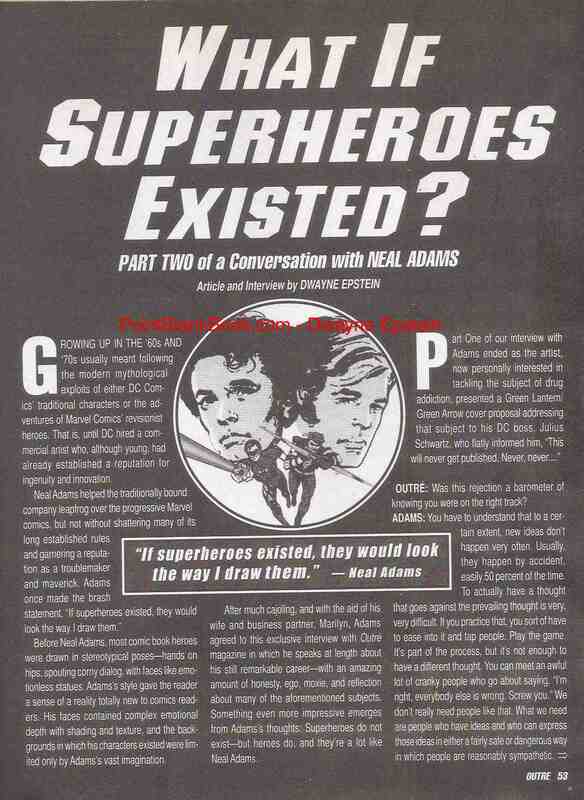 Greg Hildebrandt Filmfax interview, part 1, page 10. 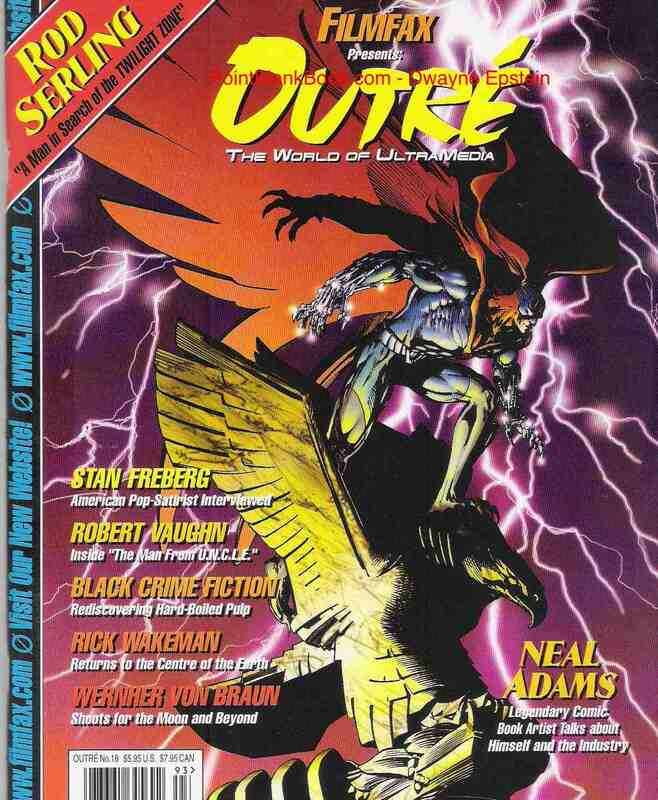 Here, in all its glory, is the finale to my interview with artist Neal Adams from 1999’s Outre Magazine. 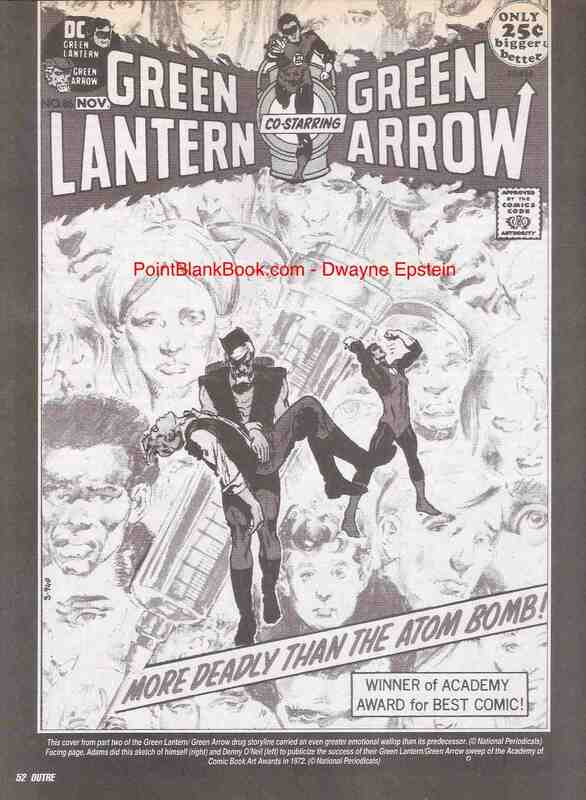 As an aside, I’d like to mention (with no little sense of pride) that Adams himself enjoyed the first 2 installments so much he contacted the publisher, Mike Stein, and asked to do the cover. Pretty cool, huh? 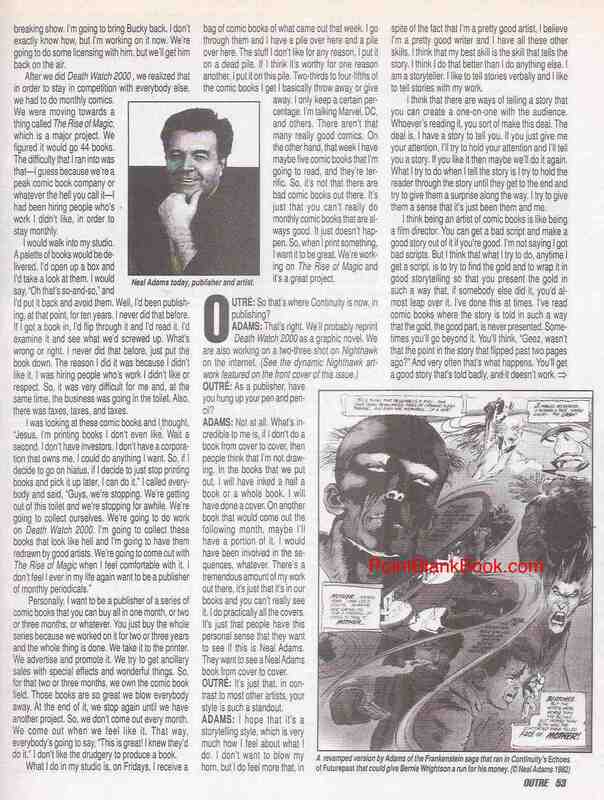 In my Outre Neal Adams Interview-Part 2, with the legendary comic book artist Neal Adams, we get to some of my own favorite subjects worth talking about, such as the controversial Green Lantern/Green Arrow drug issue. 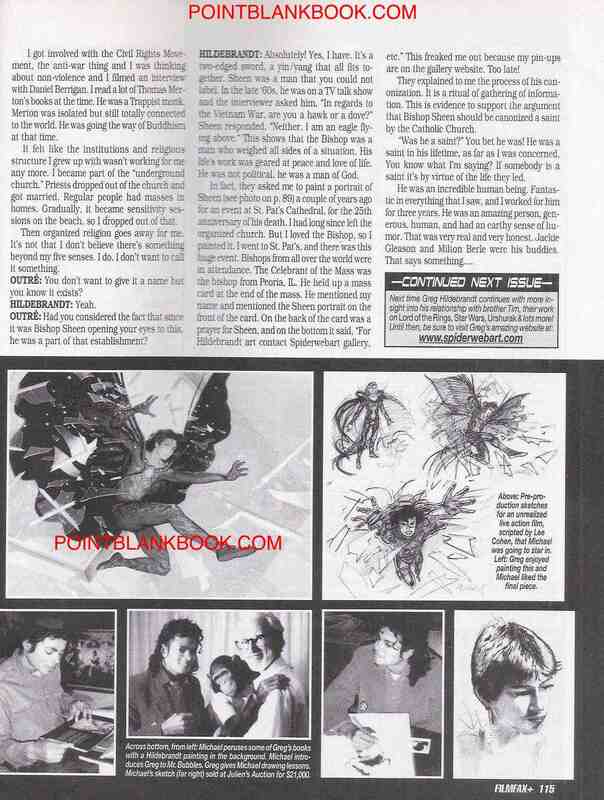 As an aside, the images from those issues are from my own collection, which is one of the few times my obession with Neal Adams’ work was actually put to good use. 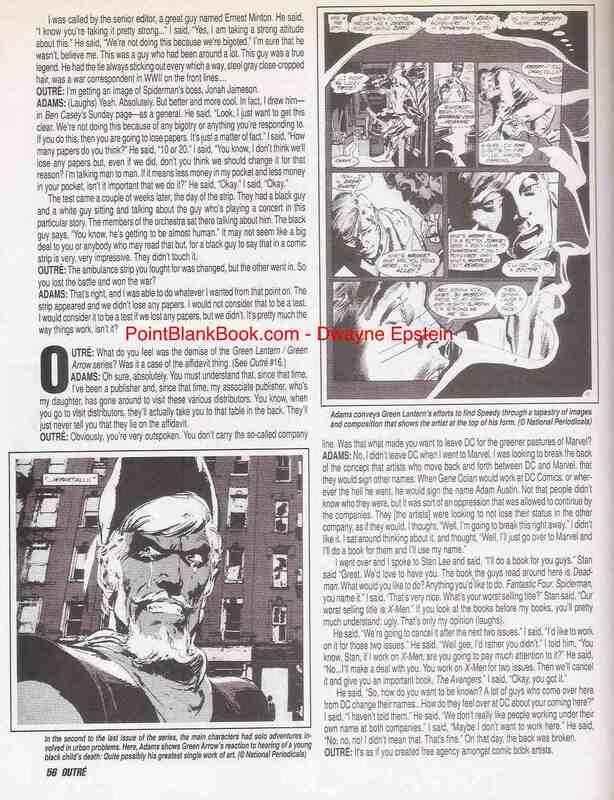 Also dealt with is the provocative debate over people of color in comix, salvaging artists’ artwork, creating free agency for artists, saving the scheduled-to-be cancelled X-Men from oblivion, and, best of all, what he did for Superman creators Joe Shuster & Jerry Siegel. 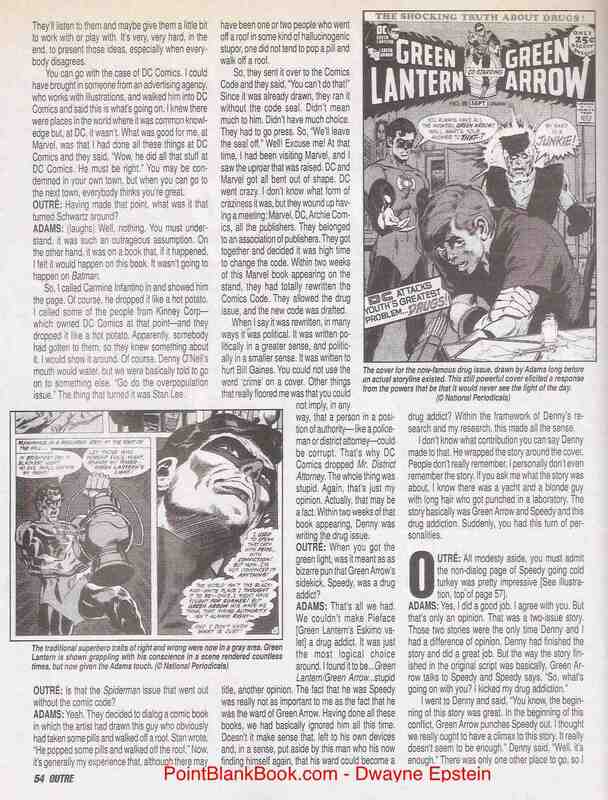 One other aside: Upon hearing Adams’ tell the tale of his efforts to get the Superman creators their long overdue recogintion, I felt no small sense of pride in knowing a childhood hero turned out to be a pretty righteous guy. How many people can you actually say that about nowadays? None that I can think of! 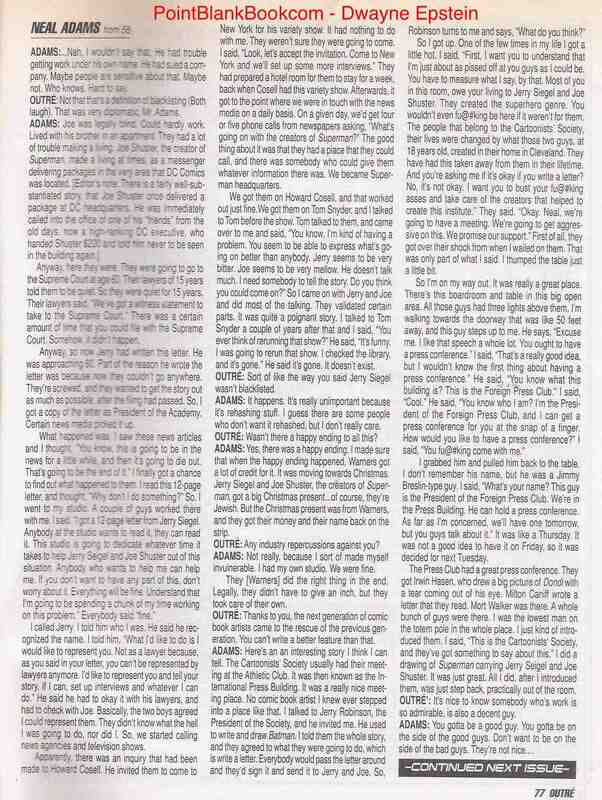 This is great stuff from The Man. 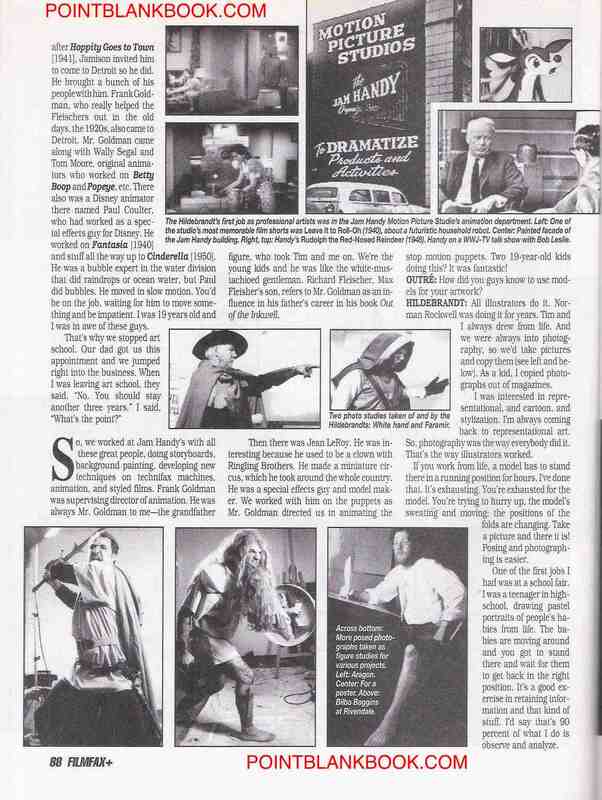 Besides, I obviously have a few other interests besides Lee Marvin. 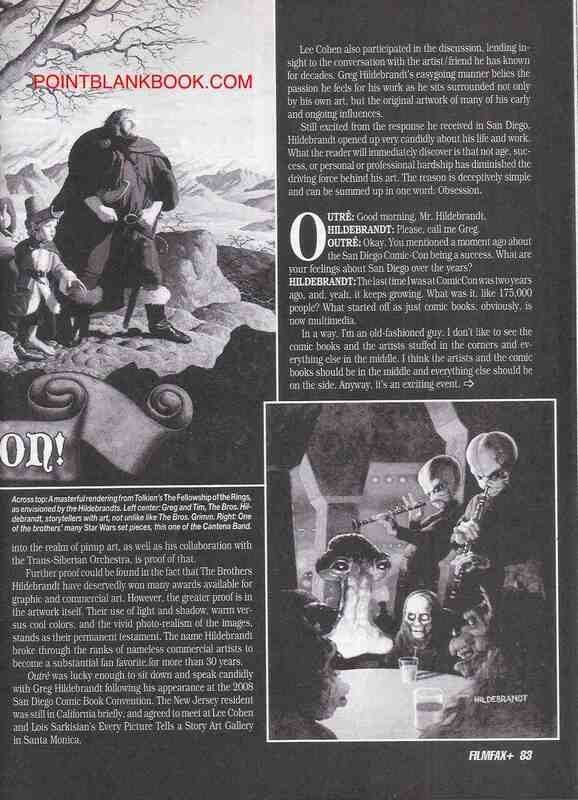 And so, without further ado, Part II…. 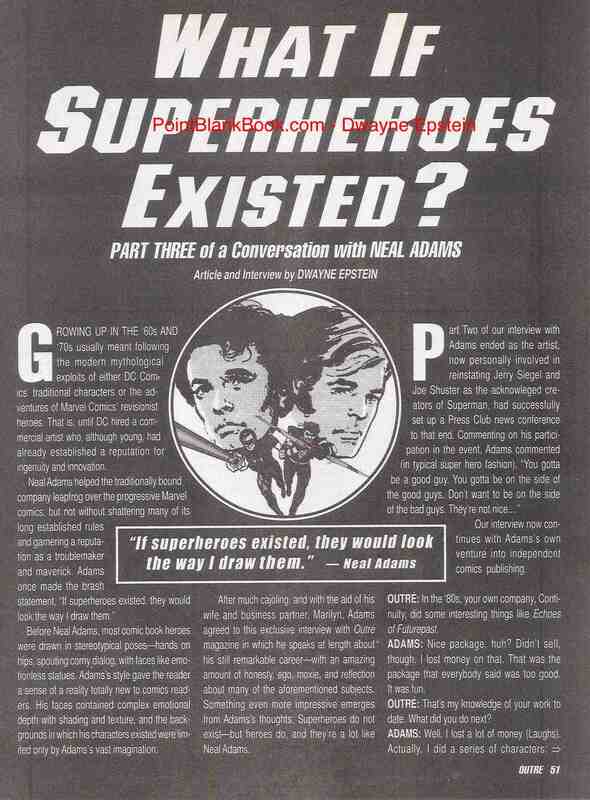 OUTRE cover for Part II of my Neal Adams interview.